ALIA is the professional organisation for the Australian library and information services sector. It seeks to empower the profession in the development, promotion and delivery of quality library and information services to the nation, through leadership, advocacy and mutual support. 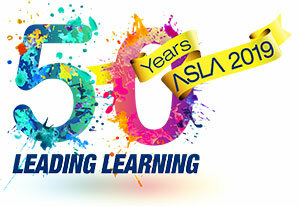 The governing bodies of the Australian Library and Information Association (ALIA) and the Australian School Library Association (ASLA) acknowledge the importance of working together, now and in the future - to better meet the professional and representational needs of those within, or interested in, the school library and information sector. emphasising library and information services within the school community. Adhere to the relevant ALIA and ASLA guidelines. ACARA is responsible for a national curriculum, a national assessment program and a national data collection and reporting program. The mission of the International Association of School Librarianship is to provide an international forum for those people interested in promoting effective school library media programs as viable instruments in the educational process. The Special Interest Groups were established by IASL to give members with similar and particular professional interests in school librarianship the opportunity to exchange ideas and be informed about current developments in an area of topical interest. The Special Interest Groups are advocacy, literacy, information and communication technologies, school library education, international development, children's and young adult literature, information literacy, international schools and school library research. An Australian Teacher Librarians' Net-work. OZTL_NET is a listserv for the Australian Teacher Librarian community. It is an electronic service uniquely designed to meet the professional information needs of Australian Teacher Librarians. SLANZA aims to strengthen and promote the role of school libraries, to enable all school communities to become information literate.